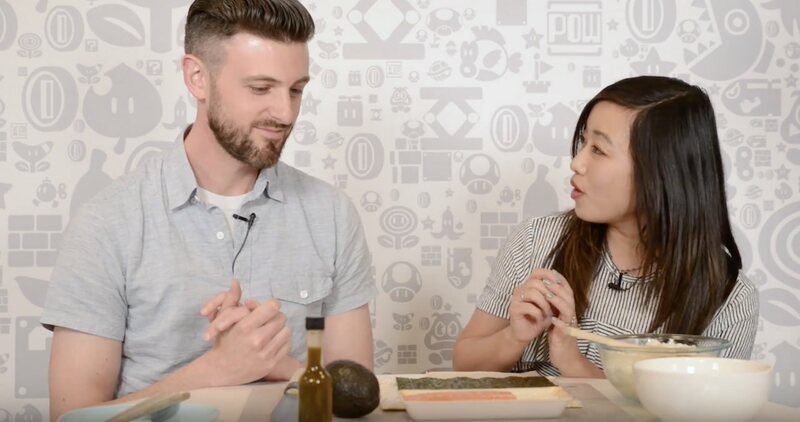 This week’s Nintendo Minute episode is now live and sees Nintendo of America’s Kit Ellis and Krysta Yang battle it out in Sushi Striker: The Way Of Sushido. That sees them take each other on in the local multiplayer mode, that can be played either on one console with split Joy-Con or across two systems. Building up an appetite in their three matches, they then start to make their own Nintendo Minute sushi roll which once done, we have to admit, looks incredibly tasty! Sushi Striker: The Way of Sushido will release exclusively on Nintendo Switch and Nintendo 3DS worldwide on June 8th.